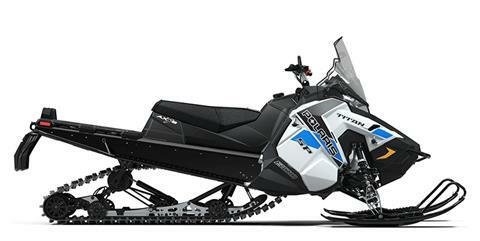 For snowmobile riders looking for agility and versatility - plus the "Proven Polaris® Benchmark" of the 800 Cleanfire® H.O. engine. 20 X 155 X 1.375 RIPSAW FULL TRACK: This durable, aggressive track complements the Articulated Rear Suspension to provide riders with the ultimate in off-trail flotation and mobility. It also delivers a smooth ride and sure handling on the trail. PRO-FLOAT SKIS: The strong, lightweight PRO-Float Skis provide outstanding off-trail flotation and unmatched on- and off-trail steering and control. Their unique dual stepped keel design provides more responsive deep snow handling as well as outstanding handling on the trails. The upturned rear edge accommodates backing up over obstacles, and the serrated top of the ski provides traction for a rider's boot. POLARIS® IFP SHOCKS: Polaris® Internal Floating Piston (IFP) Shocks deliver both durability and high-performance. They are reliable under the harshest conditions and also deliver a smooth ride and handling. TOWING & CARRYING CAPABILITIES: The TITAN® offers unmatched cargo carrying and towing capabilities. With a 1,200 lb. 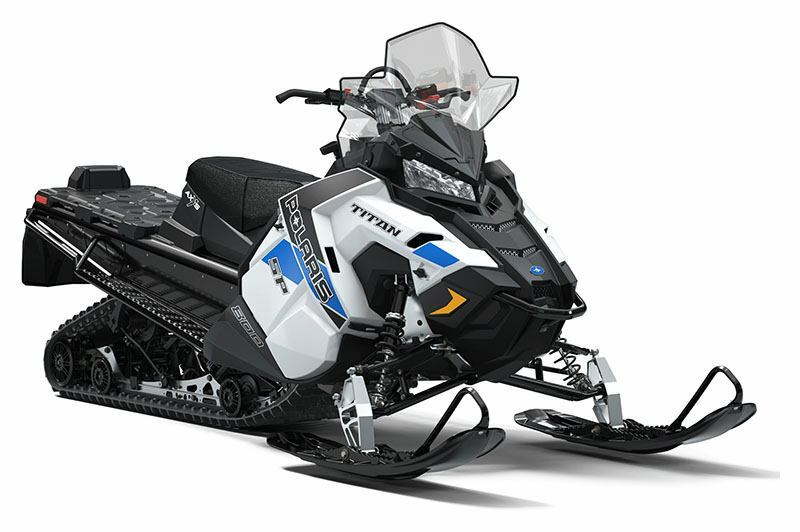 towing capacity you can tow more than on any other sled. Plus the sled's integrated mounting system lets riders add or remove cargo easily and quickly. LOCK & RIDE® VERSA STORAGE CARGO BOX AND RACK: Lock & Ride® Versa Storage Cargo Box and Rack accessory options keep cargo both secure and protected. Engineered for quick and easy mounting. Additional storage solutions are available for every type of cargo you need to carry. AXYS® TALL 20" WINDSHIELD: The AXYS® Tall 20" Windshield is designed to deflect wind, snow, branches, etc. for enhanced rider protection and comfort. 155 x 20 x 1.375 in.